Triumph Flying Enterprises Co., Ltd. is a specialized developer and manufacturer of high-quality hand tools. 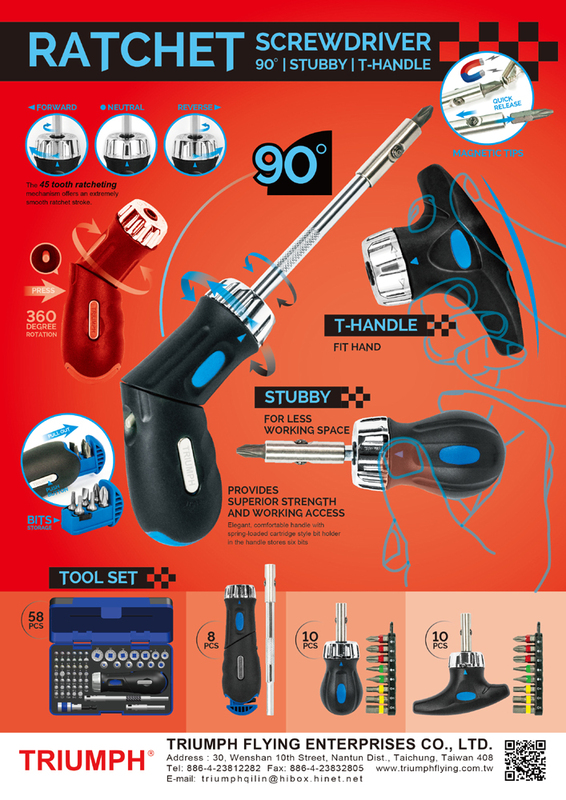 The company globally markets its famous TRIUMPH own-brand tool products to meet the demands from both do-it-yourself (DIY) and professional users worldwide. Triumph supplies a wide range of tools, including hex key wrenches, screwdrivers and bits, special tools, cutters, soldering tools, and many others. The latest super socket set debuted by Triumph. The company is very proud of its outstanding R&D and design capability, which has been helping Triumph achieve the best quality, use the most advanced materials, and develop the best products with the most advanced functions. 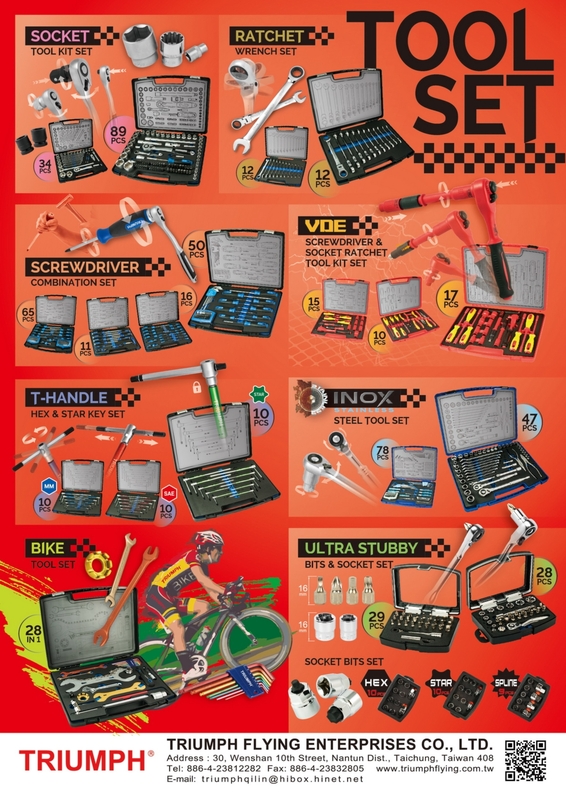 Triumph recently debuted an eye-catching new product, the 2006-175XL, a comprehensive "super" socket set containing a total of 175 pieces of screwdrivers, sockets, wrenches, bits etc. The enormous socket set is DIN-, EN-, and ISO-approved. The company points out that the new super socket set can meet almost all requirements of general users, and is especially suitable for professional users in construction, auto/motorcycle repair industries.